We asked Ray Winder a former student of ours what was the secret to his success in earning his A+, Network+, Security+ and CCNA. Ray replied to us with some interesting encouragement and tips for us all based on his experience. "To those of you who are interested in Cisco certification or some other technology I encourage you not to give up on your goal or dream. I am an older dislocated worker and started all over again around the time many are ending their careers. I went back and attended school several times at night and during the day and earned my A+, Network +, Security +, and now my CCNA. My next step will be CCNA Security and perhaps IPV6, and CCDA if I can handle the study time. Reading material can be difficult at times, especially something like Cisco. The material can be dry and does not flow easily. I class I sat in front of the computer for days on end editing and putting commands in on the CLI sometimes not knowing what I was doing, but doing it anyway. Some of it sank it due to its repetitive nature. Most of it is so complex it requires substantial foundation and a way for it to be all tied together. Various routing protocols and how they can work together or not. For me I had little dialogue with any instructor and no one I could easily exchange ideas and questions with. I came across several Cisco learning sites, www.internetworktraining.com was one of them. I was skeptical at first but Nik kept sending me these little daily questions which I regularly answered. It wasn’t long before I realized I was getting more answers right than wrong. I had paid for other online training which was good but sometimes put me to sleep while watching it. One day Nik ran a special for his training package and I decided to dive into it. It wasn’t long before I was listening to videos every chance I got and doing questions ad nauseam. Actually, I enjoy doing questions as it has always helped me find out where I needed to do more work, in what areas. Questions always lead to more questions which help me study. If I came across something I wasn’t sure of and wanted more in depth information I would go to Wikipedia or Cisco online and read up further. In reviewing for my CCNA exam I realized I needed to be secure in a lot of areas. I answered questions on STP, RSTP, PVST, VLAN’s, EIGRP, ACL’s, OSPF etc. Some of these were easier for me than others. As much as you might not like it study what you have the most difficulty with and go from there. For me STP and RSTP were very challenging and still are but I spent time studying them and it was a good thing too. If you sit for the exam you probably will see multiple questions on them. When I first began doing questions on Nik’s site I was getting 60% and 70% which was quite discouraging as I had already been in a class for a year and had earned my CCENT. I was watching the videos as well and the information began coming together as he explained many things that I had not properly understood previously. Watch videos, do questions and study what you are weak in. Yes, Nik’s ICND2 cheat sheet is very good to review as well. Those are the things that helped do it for me. I wish I had spent more time in Packet Tracer that is the only thing I would have done differently, but the time it took to set up the networks seemed more of a distraction at the time, than productive. I’m sorry if this is a little long but it has been a long and winding road of sorts. Now on to the next study and hopefully employment that will track with what I have been studying. Good luck to you all in your studies. Know if I can do it, then you definitely can." We also asked some of our CCNA Bootcamp students to tell us what they thought about our online CCNA course. You may have heard that Cisco has refreshed the CCNA Routing and Switching syllabus (17th May 2016) to bring it up-to-date with current networking technologies. Since this news was announced earlier this year we have been busy updating the CCNA exam prep materials on our CCNA training website. So far we have updated everything except our CCNA Bootcamp videos, which will need re-recording. This is now our main priority. As of now, you won't be able to take the old exams, but fear not, as only a few topics have changed. Note: Only premium members will have access to the new material. We received this email last week about the CCNA exam simulation questions. "Earlier this month, I actually decided to take the test. Needless to say, I didn't pass for a simple reason.... The simulations were a bit confusing. I pretty much had to skip all of them. I do know how to configure switches and routers, but for some reason I just couldn't wrap my head around the simulations; they were much different than I assumed. What everything came down to in the end was really the troubleshooting (which I'm working on being as much familiar with it as possible now that I know it was a weak point). All in all, I feel that I will have a chance on passing it next go around. If ever your training goes back down to 99 dollars, I may consider that route, but for now I will continue my studies that way I have been." A lot of students fall into this trap. They learn the theory and a little bit of troubleshooting, but they have no idea what the CCNA exam will be like when they go to the testing center. Luckily Cisco have a little known demo which shows you what types of questions you will encounter on the exam and lets you try them out. Once you are familiar with the different types of exam questions, you'll be much more confident going into the exam. We often get asked the question "How do I set up my CCNA lab?". Your CCNA lab setup will change depending what exercises you are working on. For example: If you are building an EIGRP lab, you will need a completely different configuration to a lab designed for Router-On-A-Stick. Luckily our CCNA Bootcamp explains all the kit you will require in your CCNA lab, and during the course you will discover how to setup your lab for certain exercises. Getting hands-on lab practice is important, but sometimes it isn't practical to build your own lab, so we will explain alternatives you can use such as lab simulators. You'll learn about the different cable types, connectors and devices, how to connect and configure them, and then how to troubleshoot the setup. You will also learn all the syllabus required to take and pass the Cisco CCNA exam. So what are you waiting for? Enroll in our online CCNA Bootcamp today and begin your journey into the world of computer networking. If you are unsure about the CCNA or you want to try our training course enter your name and email address on our homepage to begin your free trial. Do you Offer a CCENT Boot Camp? We get this question a lot, so we thought we would clear up the concerns some people have before deciding to enroll. Most people who set out to get a Cisco certification aim to get their CCNA, as this is the most popular Cisco certification. This is why our course focuses on the CCNA. While the CCENT is a certification in it's own right, many students use the CCENT as a stepping stone to the CCNA certification. Our online CCNA Success Bootcamp covers both the CCENT and the CCNA certifications. So you can pursue the CCENT first should you choose, but you could equally study for the CCNA all in one go. All the training materials on our website are categorized into CCENT and CCNA for your convenience. To begin your free trial of our online CCNA Success Bootcamp simply enter your name and email on our homepage. Do you Offer Training in my Area? We often get asked the question "Do you offer classroom training in my area?" Unfortunately we only offer online training courses. This helps keep our costs down and enables us to keep the training fees low for you. Some people prefer working from home at their own pace, while other people like to study with other students and be have direct access to an instructor. You should be able to find training companies offering CCNA training in your local area, but I guarantee they will be far more expensive than a distance learning course such as our online CCNA Bootcamp. Decide what is best for you, and if you have any questions regarding our CCNA Bootcamp training, please contact us. 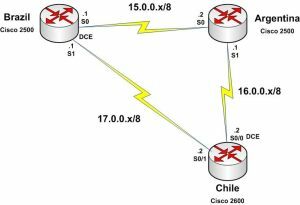 What Happens if I Fail my CCNA? We recently received this email from one of our students after they failed their first attempt at the CCNA exam. unfortunately I failed my first attempt, though I purchased your cheat sheet. but I'm not blaming anyone either than myself. I could not get my trouble shooting commands right and the time seemed to fly. We wanted to share our advice to Anthony with our other CCNA students, because the CCNA is a hard exam and many people fail first time. I'm sorry to hear you didn't succeed at your first attempt, but don't worry because many people do, you are not alone. Sadly just like the exams at school and college you need to learn how to take the test to some extent. Even if you know all the theory and IOS commands etc you need to be familiar with the test format, and if you don't plan your time wisely you can quickly find yourself rushing to complete the test. It sounds like you've already booked your next exam, this is excellent, if you don't do this quickly you'll start to forget all your training. Take a piece of paper and write down all the areas of the exam you struggled in. Work on these topics continuously right up to your next exam. Try to turn these weaknesses into strengths. Next time you sit the exam you'll be more relaxed, more self-confident and much more likely to pass the exam. Note: The student who wrote this email wishes to remain anonymous so the names have been changed. "Learn all about the changes Cisco is making to the CCENT and ICND exams in 2013"